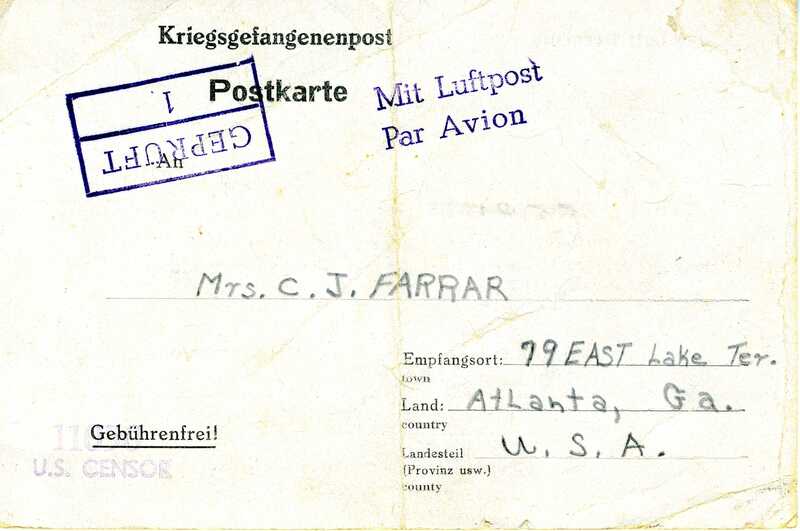 On his eighth day of captivity, October 5, 1944, George Edwin Farrar filled out a postcard to be sent to his family advising them that he was a prisoner of war and in good health. Either he was instructed to lie about his physical condition or he did not want his family to know he was injured. 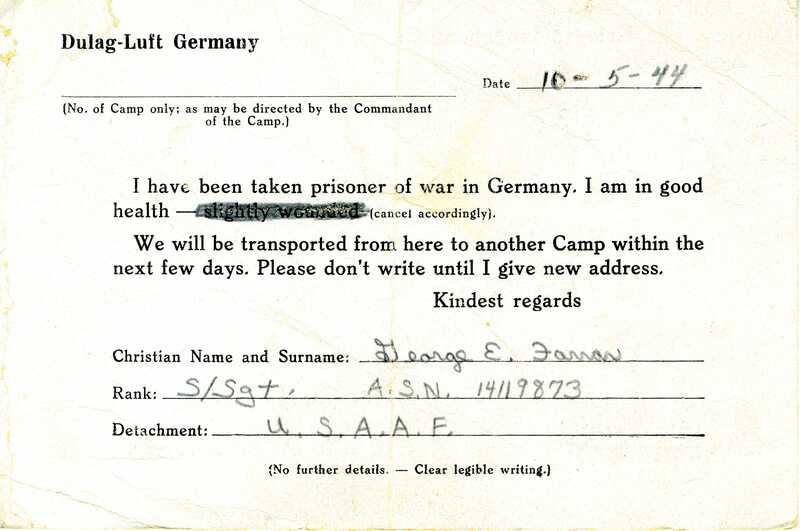 His family did not receive this card until after the end of the year, sometime in 1945. Dulug Luft was the interrogation center. Kriegsgefangenenpost means prisoner of war post. Gebührenfrei means without charge. At this point, the Farrar family had not been notified that there son was missing. I do not have any information on what the families of any of the other survivors, or the families of those that did not survive, received other than that information that was conveyed in letters to my grandmother, Raleigh Mae Farrar. From this point, I can only share information from my dad’s and his family’s perspective, but I assume the families of all 18 boys in both planes received similar information as the Farrar family other than information specific to their son’s fate.